This past weekend one of the most widely watched television events of the season took place. I know it won’t come as a surprise to you that the Super Bowl is one of the most widely watched events each year. The buildup and the excitement throughout the season, culminating in one final game for the top spot. Admittedly, Super Bowl Sunday is the only day of the year I know that I will be watching football, I’m a much more loyal hockey fan ( go Rangers!). This year, in the never ending attempt to relate to football fans I looked for the similarities in the game to my everyday life. Interestingly enough I saw a great similarity between football and recruiting. I know I know, right now you’re probably thinking to yourself, what is this girl talking about? But stick with me, I think I might be onto something. Football is a game of strategic moves, calculated risk and trust in your teammates, your fans, your opponent and most importantly, yourself. Interestingly finding a new job isn’t too different. You have your family and friends (fan), you have your recruiter (coach/cheerleader), and you have your current position and the position you could have (two opposing teams – Pats vs. Falcons). Essentially in this situation I guess you would be the ball? Either way, there are a lot of parties all coming together for you, in an attempt to make you a better… well, you. Working together in perfect harmony to find opportunities that you might be interested in, investing the time to go on interviews and giving each opportunity a fair shot. Anyone that’s made a career move can tell you that it’s not always easy to make the decision to leave a company, or to even take the first step. That’s where we come in, as a recruiter I see it as my priority to help you have the best shot at being in the best position you can be in. In a way we’re both Coach and Cheerleader. From helping you with any questions you might have to training you for “the big game”, it’s my job to help you through it… be a sounding board for any concerns you may have and help you navigate the tricky logistics of accepting a new position. Throughout the game you’re thrown around, in a matter of minutes you can be intercepted and suddenly in the hands of the other team (offers, counter offers, and many decisions until you finally make your way to the end zone and TOUCHDOWN!) Now of course this analogy might be a little farfetched but the basis of this is real. Take this Super Bowl for instance, I know I wasn’t the only one that thought the game was over early on, but everything changed within last few minutes. That’s kind of what it’s like to be a recruiter, it ain’t over till it’s over. At the start of the game, its calm, both teams are just getting into the groove of the interview process and finding their way. Then comes the first interview and boom the end of the first quarter and the process officially starts. The next few quarters are a whirlwind of questions, meet and greets, offers and counter offers each equating to points scored for each team, some for the home team and some for the visitors. While the interview process is going on you’re being passed from side to side and tasked with the job of deciding what pros and cons need to be weighed, eventually it comes down to the last few minutes and the two teams are neck and neck and a decision needs to be made, one team (company) declared victorious. While some people decide to stay on the home team others make the jump to the visitor’s side, or to their next opportunity. 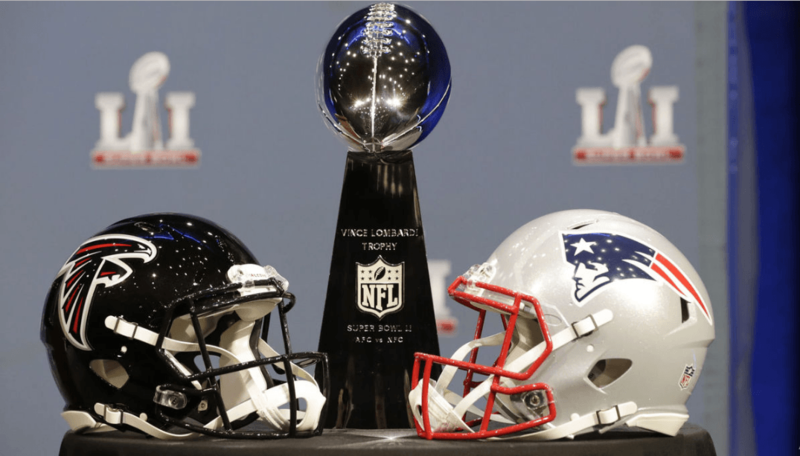 The excitement and anticipation I felt waiting to see who would win the super bowl is how I feel each time I have a candidate interviewing, the pit in the bottom of my stomach and excitement that maybe this time the ball will choose the right team, for them and win the game! So let us help you and coach you through the process. We’ve seen all of the plays, watched countless hours of tapes and have been in this exact situation a bunch of times. Let us help you, don’t get too deflated, because at the end of the day when you make the right decision for you, it is sure to be a touchdown!